Run & Give at this great community event! Run & Give! 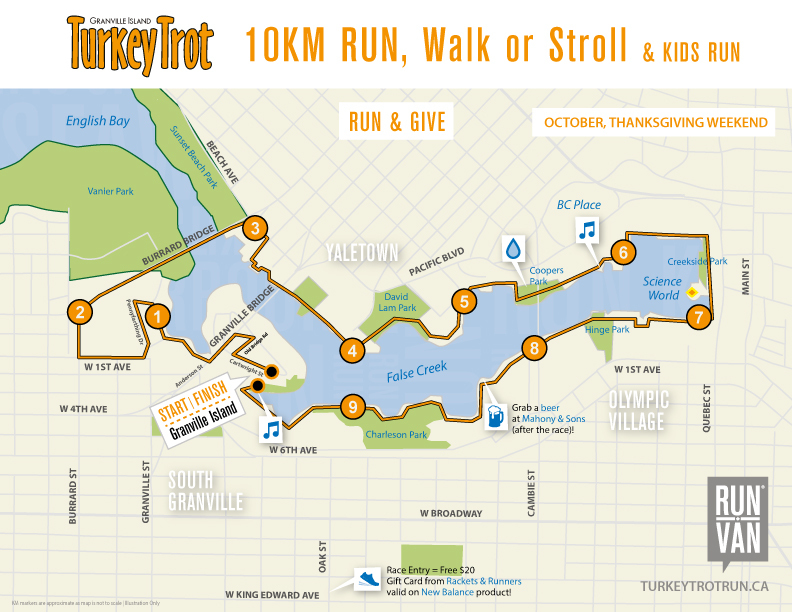 A hallmark event, the Granville Island Turkey Trot features a fun 10KM race on Thanksgiving Monday – plus a Kids Run a day earlier. This annual event brings together runners in a celebration of Thanksgiving – demonstrating our community of running, our gratitude for the sport, and our commitment to supporting others. Food, bevys, drinks, entertainment, awards, medals, and more. Join in! 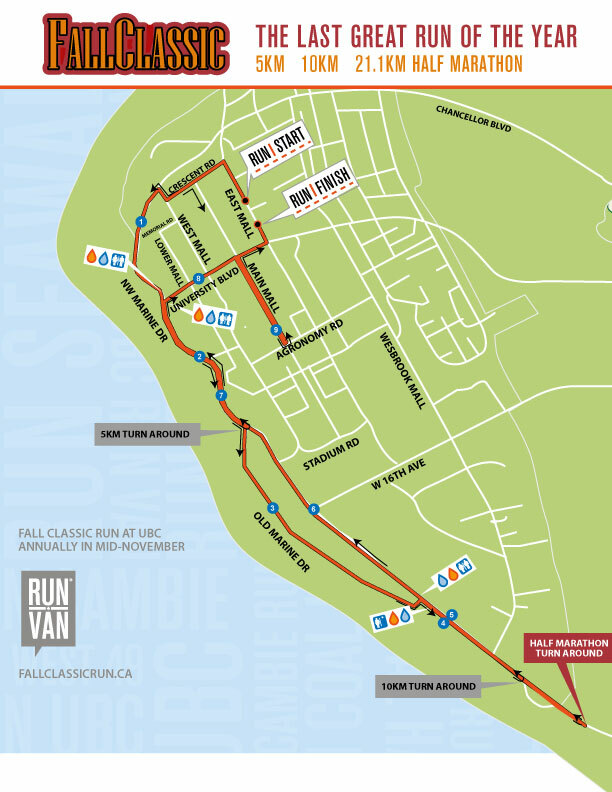 Join Vancouver’s last great run of the year! Join one of the last great runs of the year at the Fall Classic in mid-November. Clock your personal best time for the year in the 5KM, 10KM, or Half Marathon! Amazing value. Complimentary beer for adult runners and low student pricing is available. Food, bevys, drinks, entertainment, awards, medals, and more. Secure your spot at this popular running event that now annually sells-out! The non-profit Vancouver International Marathon Society inspires healthy, active lifestyles, and annually organizes the ‘First Half’ Half Marathon, BMO Vancouver Marathon, Granville Island Turkey Trot and Fall Classic.